Build your dream home just one lot off the bay! Whether you are yearning for a coastal summer house, easy-breezy retirement home or a combination that tallies up to a tried and true get-away beauty, this lot is the perfect fit. 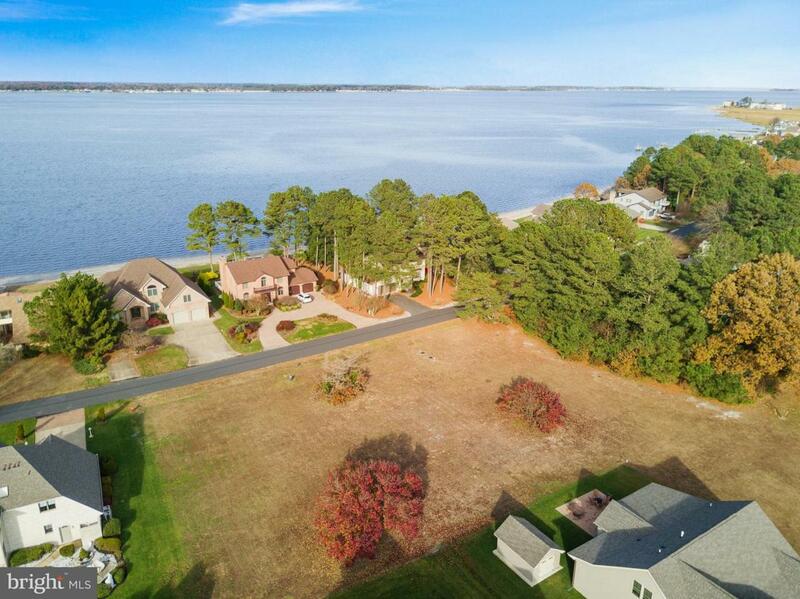 Build to suit with beautiful bay views, and appreciate this spacious, already-cleared, .28-acre lot now available in the sought-after, ever-so desirable Bay Colony Community. Designed to take advantage of its surroundings, this lot is open and sun-lit so you can capitalize on its beauty and relish all seasons. Tucked on an interior street toward the back of the community, the lot is situated amid well-maintained, custom-built, architecturally-appealing homes with low-to-almost-no-traffic. This private waterfront community offers a world of amenities, easily walkable. Take a dip in the pool or lounge on the patio. Rally with friends and play a round of tennis. Head down to the marina and enjoy everything from kayaking to swimming, clamming to paddle boarding and more. When you want to head out-and-about, it~s an easy 10-15-minute drive to Atlantic Ocean beaches. Grab a crab cake or slice of pizza at an outdoor caf~ or relax and enjoy fine dining in a 5-star restaurant. Walk the boards or shop the boutiques. Sign off the day as you watch the day-turn-to-dusk and embrace the spectacular sunset. The possibilities are endless. Make this dream come true. This lot is meant for you!